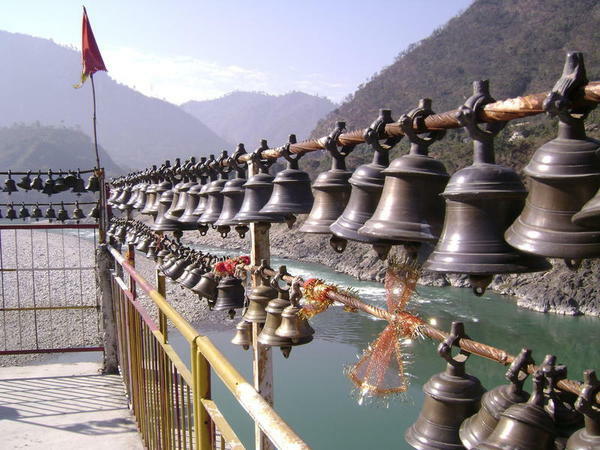 Rudraprayag is the Indian tourist place also known as Devanagari. This is the town of Uttarakhand State, India. 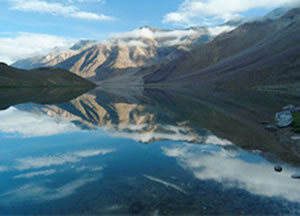 The town was named on five confluences of River Alaknanda. Mandakini and Alaknanda are two main rivers flowing from the spot. 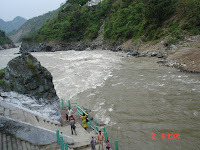 The next big river near Rudraprayag is Bhagirathi which merge to Ganga River after quite distance. Tourist attaining to Rudraprayag can take pleasure of visiting Hindu holy place Kedarnath which is just 86 km distance from Rudraprayag. This hill station is having dense forest where the man-eating Leopards are available. Tourist must take care at Rudraprayag and should take help of local guide for visiting any tourist spot. Rudraprayag is small town in Garhwal region, though it was recognized as Kedar-Khand in earlier time. In Hindu religious books Kedar-Khand is described as house of God. As per sources Lord Ganesha described this place in Vedas as well. 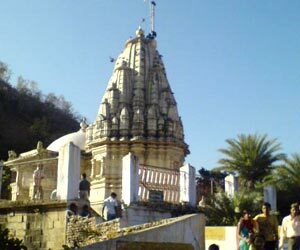 Koteshwar Temple: located at 3kms distance from the town Rudraprayag and the closest river is Alaknanda. 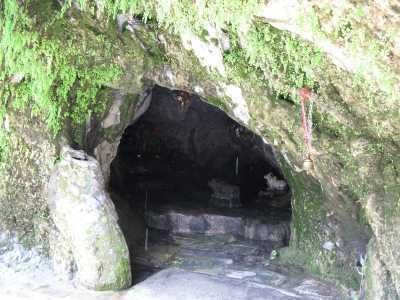 This is the cave shrine devoted to God Shiva. As per myths and resources God Shiva did meditation at Rudraprayag prior to going Kedarnath. Devotees of Lord Shiva are regularly visiting this place and other religious people are also attaining to Rudraprayag at regular intervals. The special peak time of devotees is between August and September as the Lord Shiva spent the time at Rudraprayag at those months. Dhari Devi Shrine: the other attractive place of Rudraprayag is sacred Dhari Devi temple located on the banks of the river Alaknanda. The divinity of this temple is deity Kali and this temple holds huge significance between Hindus. This shrine is located at only distance of 16kms from Srinagar so visitors can attain to another famous tourist destination of India. Travelers reaching to Dhari Devi temple should go to village as well. The village is only and only 1 km away from the temple. 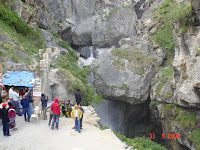 Panch Kedar: Panch Kedar is also the best tourist spot of Rudraprayag. As per history this place got the importance after battle of Pandavas at Kurukshetra went for blessings of Lord Shiva. Some other major tourist spots of Rudraprayag contain sightseeing tour like the hills of Himalaya, dense forest and some parks. However, moving in the forest openly could be dangerous that mean people who love adventure should visit Rudraprayag to take pleasure of nature created spots. 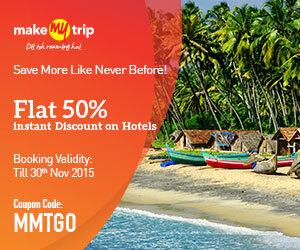 Some other closest Indian tourist places of Rudraprayag are Badrinath, Haridwar and Rishikesh. Buses are easily available to reach any pilgrim place throughout the nation. The route of Rudraprayag is wonderful and visitors will definitely enjoy the trip to this amazing destination. By Air: The closest airport to attain Rudraprayag is the JGA (Jolly Grant Airport) close to DehradunHill Station. The distance between airport and Rudraprayag is 183 kms. By Rail: The closest railway station for Rudraprayag is Rishikesh, though it is the small railway station so tourist can reach to Haridwar junction through fastest trains of India. Distance between Rishikesh and Haridwar is just 24 kms. By Road: getting NH 58 allow tourist to reach Rudraprayag from Delhi. 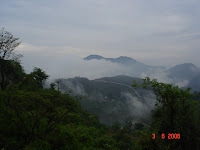 However, the road goes to Badrinath and Mana Pass of Uttarakhand State. 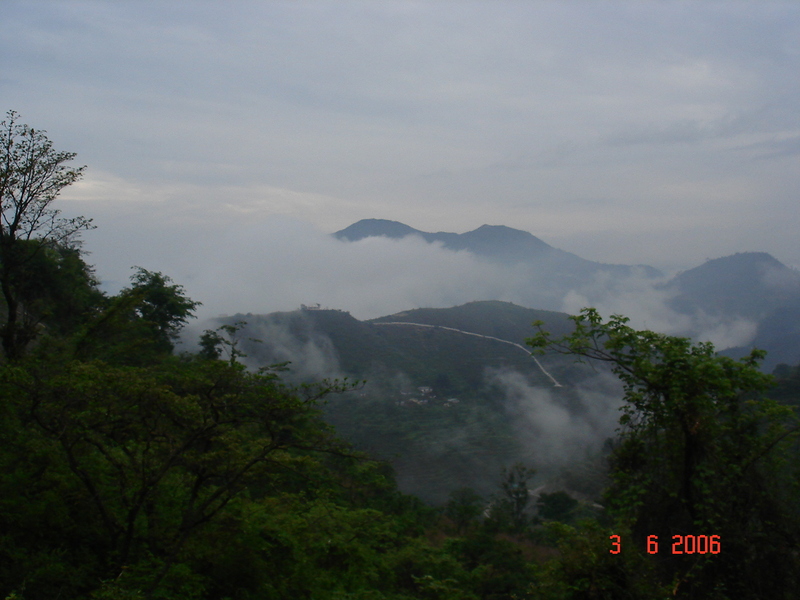 This highway is close to Indo-Tibet frontier so tourist can enjoy countless spots during the journey to Rudraprayag. Local and government buses are available to attain Rudraprayag, though tourist buses are available from New Delhi and many other cities of India to reach this pilgrim place.